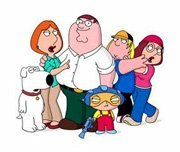 You've built a vibrant community of Family Guy enthusiasts. The SVD recommendation algorithm took your site to the next level by allowing you to leverage the implicit knowledge of your community. But now you're ready for the next iteration - you are about to roll out some new opt-in customizations, but you don't want to bug every user by asking them if they want to participate. And so it occurred to you: "wouldn't it be nice if we could just ask a subset of our users, and then extrapolate this knowledge to predict the preferences for the rest?" And once again, machine learning comes to the rescue! Except this time, it will be a decision tree. Whether you're trying to solve a marketing problem, building a medical diagnosis system, or trying to learn the preferences of a user, this technique can do wonders. Our dataset contains four different attributes, but our decision tree shows that only three make a difference! In this case, 'education' appears to be irrelevant to the final opt-in decision. Intuitively, we could build a tree which contains every attribute by simply providing a path for every training example, but is that the best we can do? Instead, we want to eliminate attributes which serve as weak predictors (education) - we want to compress the data, and that is exactly what a decision tree algorithm will do. 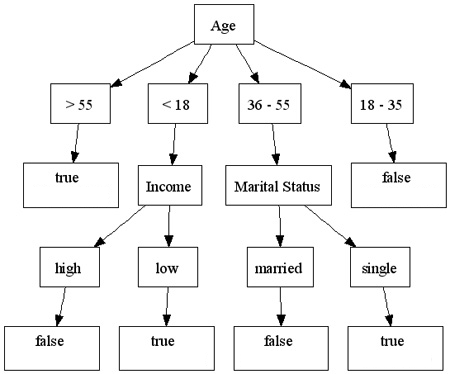 Given a set of examples, and a list of attributes, a decision tree algorithm tries to find the smallest tree that is consistent with the examples. As a bonus, the output of the algorithm can be automatically graphed and interpreted visually - a rare occurrence in the machine learning field. In other words, don't be surprised if all of the sudden the VP of marketing becomes your best buddy! We swept some of the details of the underlying algorithm under the rug, but they're worth a closer look. In order to build our decision tree, we need to be able to distinguish between 'important' attributes, and attributes which contribute little to the overall decision process. 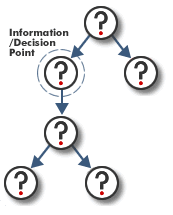 Intuitively, the most important attribute should go at the top of the tree because it carries the most information. Likewise for the second attribute, third, and so forth. But how do we quantify 'important'? Note that the last field in the training set specifies the label for that example (opt-in or not). You can also find the full example of the sample tree we discussed above bundled with the source of the gem. In order to graph the tree, you will need Graphviz and GraphR libraries installed on your system. You will also find a full dataset and implementation of a decision tree regression bundled with the source code - this one is for medical diagnosis! And that's it, now we're ready to roll our next batch of updates with some (artificial) intelligence. This almost makes me wonder: what machine learning wonder will our Family Guy enthusiasts see next?